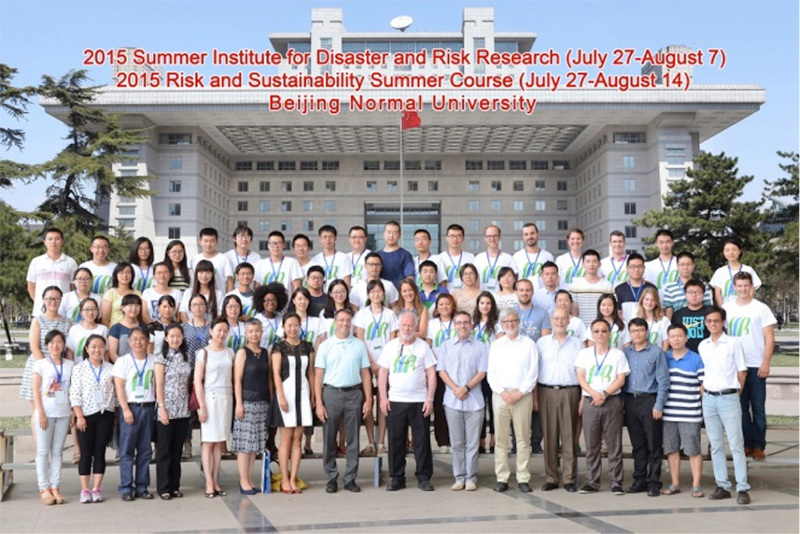 The “Hazard and Risk Science Base (HRSB)” at the Beijing Normal University (BNU) is funded through the “Expertise-Introduction Project for Disciplinary Innovation of Universities” also known as the ‘111 Project’ initiated jointly by the Ministry of Education and the State Administration of Foreign Experts Affairs, China. In November 2007, the HRSB was formally approved to start on January 2008 for its first five-year phase and in September 2012 the second five-year phase was also formally approved to start from January 2013. The overall goal for the second phase (2013-2017) of the Hazard and Risk Science Base at BNU is to further enhance and build education and research capacities in the field of hazard and risk sciences; increase the international visibility of the HRSB at BNU through effective international collaboration and high quality scientific publications. Integrated Risk Governance, in close collaboration with and support to the implementation of the Integrated Risk Governance Project (IRG Project), focusing on the development of concept s, tools and approaches. Support the development of international program for graduate studies in the disaster and risk field at BNU. Support the publication of the International Journal of Disaster Risk Science. The overall strategy for implementation centers on disciplinary development through activities that contributes to both the education and research capacity building. The basic means are through international collaboration, exchange, and outreach. The results will be measured by high quality and high impact publications. Same as the First Phase, the core activities of the Second Phase will continue along two main streams that corresponding to the above goals and objectives—the education and research capacity development components. In addition, the second phase will also emphasize and strengthen the communication and outreach component. For more information, please see http://122.112.28.184:8020/111/index.asp.